Are you got trapped in Blocked Drains Melbourne situation? Then, you are in need of professionals! 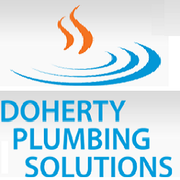 At Doherty Plumbing Solutions, we have team of professional plumbers who are ready to help you out with all your blocked drain plumbing issues. We are most trusted locally owned plumbing company based in Melbourne. Are you looking to renovate the storage spaces in your kitchen? Look no further than Desire Kitchens in Melbourne. We specialise in creating attractive modern kitchen designs for your existing space, adding a lot of functionality. Call us on 0423 946 944 for high quality and durable kitchen cabinets makers. Are you looking for a reliable carpenter to fix your older windows? Marcelle’s Carpentry provides the best timber window repair in Melbourne. Repairing timber sash windows is one of our favourite tasks. Our services are at the highest benchmark according to the Australian standards. Call us on 0411 101 299 for a free quote. Ask them for real referrals and if you can make contact with any of their previous clients. If there is any hesitation here then forget about them. If they don’t have a least one happy client willing to do this then that gives you a good idea of how things are going to go for you. -Make sure the quotes are very detailed and transparent. If you are Looking for window tinting in Melbourne? Advanced Window Tinting offering best professional commercial tinting, home window tinting, office window tinting, car window tinting in Melbourne & Cranbourne. Visit to learn more about :- http://www.advancedwindowtinting.com.au/. Welcome to Roof Makeover Specialist! We offer top quality roof maintenance & repair services in Melbourne at affordable prices. Call today at 04818 12124 for a free quote! http://www.roofmakeoverspecialist.com/. Looking for high-quality decking timber in the Melbourne region to enhance your lifestyle and value of the home? Marcelle's Carpentry provides the latest designs for the most durable and beautiful decking in Melbourne. We design high quality outdoor decking with our highly professional timber decking specialists. Melbourne Quality Roofing is a tailored roof restoration solution for all types of roofs in Berwick. Our expert expert team provides high quality and professional roof restoration services located in Clayton South. We assess current roof for specifications such as its size, pitch & roof type and provide perfect roof restoration solution. We are offer professional floor sanding Melbourne services to make your timber floors shine like new again. We are specialised in floor sanding and floor polishing services and have helped many clients in restoring their flooring back to its original beauty and that too at best rates. You can try our services and feel the difference. 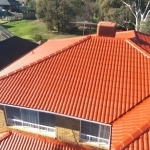 Melbourne Quality Roofing, is the ultimate destination for roof restoration in Moorabbin, Bentleigh and Bentleigh East. Our expert team provides professional roof restoration services and can help you everything related to roof restoration. Roof restoration include roof cleaning, de-mossing roof, re-pointing the damaged roof and repainting old roofs with flaking paint, etc. Get the lowdown on multi unit builders and property developments with Ondev. Ondev delivers excellence in new homes, townhouses and multi unit developments. Get in touch so we can build your dream home today.. If you are Looking for window tinting in Melbourne? We offer the best professional commercial tinting, home window tinting, office window tinting, car window tinting services in Melbourne & Cranbourne. fell to free call us on 03 9794 7929 today. Visit advancedwindowtinting.com.au to learn more. Kitchbath is based in Western Australia and prides itself in delivering exceptional renovation services from kitchens, bathrooms to complete homes. Our team is led by registered builder Ray Whittle (Reg10033) who has over 30 years experience in the building industry and is specialized in both renovations and new construction. A bathroom is a room of personal hygiene. It is a room where individuals create visual character. Construction of a bathroom is based around millimetre perfect design techniques with the scope to move freely within your bathroom. Visual effects, colour and layout are important considerations along with colour and practicality. Are you looking for best home care solutions in Australia? Sometimes it can be difficult to keep up with daily tasks on your own. At Better Living Homecare, we offer a variety of home care solutions to best suit your situation, offering as much, or as little help as you personally need at home. For more information please visit - http://www.betterlivinghomecare. Oven Repairs Melbourne is the top quality service provider of stove, oven and cooktop repairs. Our experienced technicians will evaluate the condition of the equipment and provide you an intensive report and after that change what components are defective. Oven Repair has over years of experience in the field. Melbourne's best architects, landscape and interior designers for your project. Phone:	04 3172 8190 Website:http://thedraftassembly.com/ Address:Melbourne VIC 3000 Australia. Marcelle’s Carpentry is the restoration and renovation specialists in Melbourne and servicing all the suburbs. It is run by a female tradie who has expertise in services ranging from decking to weatherboards. For carpentry and building needs, call us on 0411 101 299..
Bathroom disasters can occur when unlicensed trades personsare unaware of structural measurements, weight Distribution of floors , layout of fixtures and fittings, precise presentation of tile layout , finishing, waterproofing to Australian standards, plumbing pipeworkie drainage and water sized accordingly in order to ensure adequate water flow and ease of drainage restrictions. We offer the best and professional timber floor sanding Melbourne solutions. Our company has a team of team of skilled technicians who will refurbish your floors completely and make them look and appear perfectly beautiful and polished. For more information call us on: 0385101553 or send us Email on: info@timberfloorsandingmelbourne. Do you need waterproofing contractors in Melbourne? Choose our supreme quality waterproofing Melbourne to protect your house from rain. To know more about visit our website http://www.ultralinetilinggroup.com.au/waterproofing/. 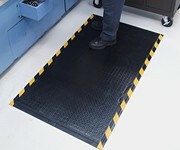 The High Comfort Durable Heavy Traffic Anti Fatigue Mat has been developed to provide a high level of comfort in a range of working environments. The unique surface texture and pattern combine to prove a non slip surface that is harder wearing and more flexible than traditional PVC vinyl providing a higher level of comfort underfoot and giving you an increased life and in turn a better value for money compared to budget alternatives. Con-Struct Ramsay Insulation has over 30 years of experience in the insulation industry. We are a leading service provider and distributor of CSR Bradford Insulation products. We excel in providing customers with quick turnaround and great service from our Victoria based branches in Dandenong, Clayton, Campbellfield, Geelong and Shepparton. Melbourne Quality Roofing located in Clayton South provides reliable roof restoration services in Mornington and Mount Eliza. We have a rich experience in all kinds of roof restoration services. Roof restoration is the perfect solution for the roof which is safe and moisture proof. We help to get right advice on what kind of roof is best for your coastal home. Welcome to Timber Floor Sanding Melbourne - The highest standard of professional timber floor sanding & polishing service providers!! We offer professional Floor Sanding Melbourne to restore the beauty of your timber floors back to normal. Aquil Painters Melbourne is a group of painters offering residential and commercial painting services at affordable rates. We will completely refurbish your old building and will provide you with painting services and a flawless finish, each and every time. Melbourne Quality Roofing provides professional roof restoration services located in Clayton South. 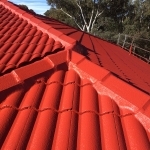 We are widely known in Langwarrin and Skye for our dedicated and quality roof restorations and roof repairs services. We provide everything related to roof restoration, whether it’s de-mossing your roof or cleaning it, re-pointing the damaged roof or replacing some broken tiles, repainting old roofs with flaking paint, etc. 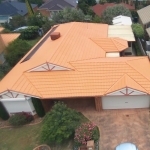 Melbourne Quality Roofing provides dedicated roof restoration services located in Clayton South. We are widely known in Frankston and Frankston South for our specialisedand quality roof restorations and roof repairs services. We provide roof restorations for commercial, domestic and strata complexes throughout the Melbourne metropolitan suburbs. Home repair services, maintenance services Melbourne ads Melbourne, Home repair services, maintenance services classifieds Melbourne, Home repair services, maintenance services free ads Melbourne, ads for sale Melbourne, ads to buy Melbourne, FREEADSAustralia Page number 10-1. Find here ads for sale, to buy and rent in Melbourne. Goods for sale in Melbourne, vehicles for sale in Melbourne, Melbourne real estate for sale, Melbourne property for sale, property for rent in Melbourne, business ads in Melbourne, Melbourne business classifieds, services in Melbourne, Melbourne services ads, jobs in Melbourne, pets for sale in Melbourne, Melbourne dating, Melbourne cars for sale.